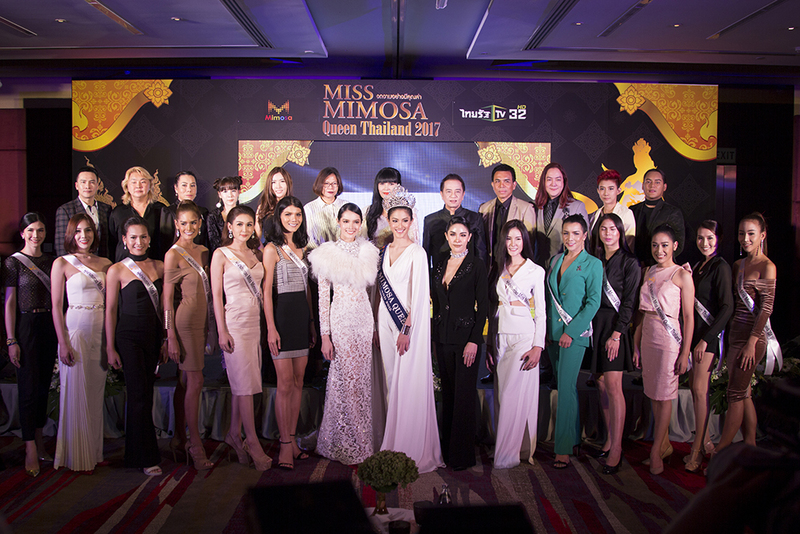 Nicky Jirachote Kaewsatien, director of Mimosa Pattaya, said Jan. 11 that the 4th Miss Mimosa Queen Thailand contest will carry the theme of “Miracle of the Heart”. The finals of Miss Mimosa Queen Thailand 2017 are scheduled for February 14, from 18:00 onward at Mimosa Pattaya. Contestants from more than 100 countries will descend on the city for the pageant, which will feature shows and interviews with the winners from 2013-15: Nissamanee Lertworapong, Nattika Oonthong and Pattara Wirulatannakij. They will share their experiences of when they became ambassadors and the challenges they faced. They also will give advice to this year’s contestants. Judge Purimprad Chaiyakham will also provide tips on how to prepare for the talent competition, as the Talent Miracle Award winner will automatically become a top 10 finalist. Semifinal rounds will take place Feb. 14 at the Mimosa Pattaya Theater from 7 p.m. with the final round being televised after 10 p.m.
First place nets the winner 300,000 baht in cash and prizes with the runner up taking home 150,000 baht going to the runner-up and 80,000 baht to third place.